Our Center welcomes big ideas about government management and operations two decades from now, as we mark two decades bringing similar ideas to government since 1998. This blog post is one in a series in our 20th anniversary year for the IBM Center for The Business of Government. We are advancing ideas, activities, and reports by the Center that look to the future, reflecting on Center and other contributions about past management trends and reform efforts. Joining me in this effort are Mark Abramson, the founding executive director of the IBM Center, and John Kamensky, the IBM Center’s most senior fellow. 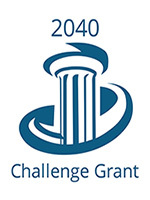 The IBM Center for The Business of Government is pleased to announce a Challenge Grant competition to solicit essays describing the future of the structure and operations of government in the year 2040. The Challenge Grant will provide $2,500 for the winners of the competition to produce essays for publication. The IBM Center is seeking alternative visions about what government structure, operations, and the delivery of services might look like in 2040. What are your ideas of what the management of government might look like? How will it operate? To encourage “out of the box” thinking, we are not providing any additional guidance on topics to be addressed in the proposals. The key is that we are seeking creative ideas on alternative scenarios for the future of government. Stage One: Submit one or more proposals of up to 300 words presenting your vision for the structure and operations of government in the year 2040. Proposal submissions will be reviewed and placed on the IBM Center website for feedback, allowing readers to share additional perspectives with the authors, who may then refine their proposals and re-submit. Schedule: Deadline for the 300-word proposals is February 28, 2018. Stage Two: The IBM Center will review proposals and select 5 to 10 finalists who will each be offered a $2,500 Challenge Grant to prepare a longer essay (up to 2,500 words) refining their future vision. Schedule: The Center will announce the winning proposals by the end of March 2018. Stage Three: The winners of the Challenge Grant will prepare their essays for publication by the IBM Center. Schedule: The 2,500-word essays will be due to the Center by May 15, 2018. Questions? Please let us know if you have any questions. They can be sent to: challengegrant@businessofgovernment.org.